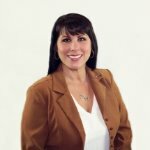 As a mortgage loan officer right here in Chandler, I work with you to help you find the right mortgage for your unique situation. You probably have lots of questions. How much house can I really afford? Which type of mortgage best fits my needs? I can help you answer questions like that and I've worked with lots of people in and around Chandler with home financing needs similar to yours. I'm proud to work for a reputable bank like U.S. Bank, and you can trust me to do what's right for you. So give me a call at 480.224.4925. An experienced mortgage professional can help you figure out the best home loan options for your budget. And, he or she can also help you plan ahead to ensure that your new home will be a sound investment. At U.S. Bank, we have mortgage professionals who can help you decide on interest rates, monthly payment amounts, term lengths, and more. Call 480.224.4925 to make an appointment. Are you thinking about refinancing your current mortgage? U.S. Bank in Chandler offers competitive interest rates and flexible loan terms. To determine if refinancing is a good option for you, and to learn about your loan choices, call 480.224.4925 to make an appointment with one of our experienced mortgage professionals. Does the term “fixed-rate mortgage” seem puzzling to you? If you’re a first-time homebuyer, we at U.S. Bank can help you make sense of it all. We’ll consider your income, how long you plan to stay in your home, and other factors in order to determine what type of mortgage is best for you. Call 480.224.4925 to schedule an appointment with a mortgage professional now. Reviewing home loan options can be a bit overwhelming—let U.S. Bank in Chandler help you figure out the right choice. If you don’t have enough for a down payment, you may qualify for a FHA or VA mortgage. If you might have to move again soon, then an adjustable-rate mortgage might be a suitable choice. Call 480.224.4925 for more information. The benefits of the VA Home Loan Guarantee Program are extensive—mortgages with up to 100% financing, lower monthly payments, and the security of a fixed-rate. To learn more about VA Mortgages and eligibility requirements, contact a U.S. Bank mortgage professional at 480.224.4925 today. For many Americans, the “American dream” includes a dream home. If you’re searching the housing market for something truly unique, your best bet might be to build your own. At U.S. Bank, we have a variety of mortgage options that make constructing your own home as straightforward and convenient as possible. Call 480.224.4925 to learn about our construction and construction-to-permanent loans.